ESSEX FLOWERS: RACHEL DOMM and NANCY SMITH today at the CASUAL ART FAIR . . 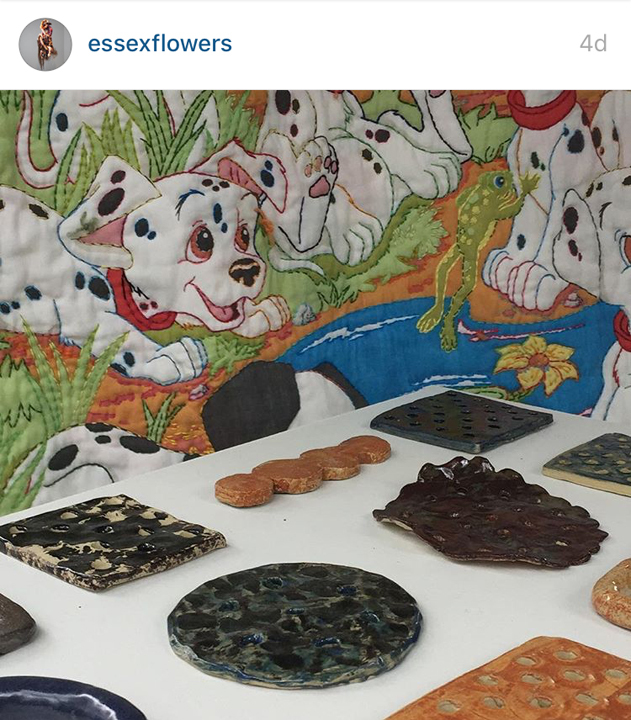 I knew the CASUAL ART FAIR – was going to be super FUN . . when I caught this SUPER great photo . . of my ‘101 DALMATIONS CRIB QUILT’ with RACHEL DOMM’s ceramic ‘snacks’ !! what can I say: ABSOLUTELY VIBRANT !! FRESH !! SKILLS !! KILLING IT !! a picture is worth a thousand words !! what a great photo, JEFFREY TRANCHELL !!!!!! !